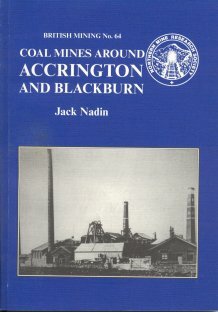 In his second book for the NMRS on the Lancashire Coalfield Jack Nadin looks at the history and remains of coal mining in Church, Accrington, Oswaltwistle, Baxenden, Blackburn and Darwen. With few exceptions, the mines here closed earlier than they did in the adjoining Burnley Coalfield, but once again they were dominated by George Hargreaves & Company. As before, the author uses a mix of historical research and newspaper articles, together with maps, plans and photographs and includes a useful index of personal names.